(Reuters) - Italy's parliament gave final approval late on Thursday to a package of support measures for the ailingeconomy, including a cut in energy costs for small companies and measures to spur lending to businesses. The package, dubbed the "competitiveness decree" when it was presented by Prime Minister Matteo Renzi's government in June, got a lukewarm reception from business leaders who said it lacked a clear strategy and failed to address the real needs of industry. 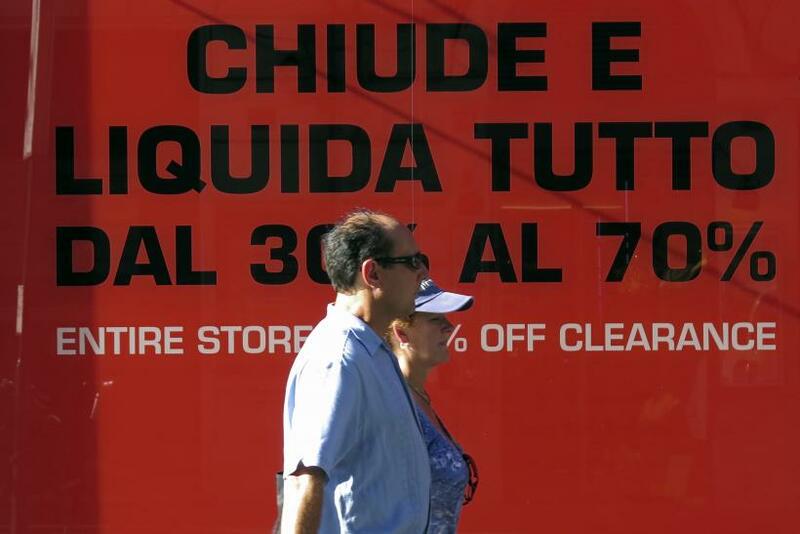 Renzi is under growing pressure to take more decisive steps to overhaul the euro zone's third-biggest economy after data this week showed it fell back into recession in the second quarter. The package underwent numerous changes during a difficult passage through parliament and finally passed by 155 votes to 27 in a confidence vote in the senate as the government tries to rush through legislation before the summer recess. Among the more significant measures in the decree are a reduction in energy costs for small and medium-sized companies, a tax credit for firms that make new investments in machinery and new rules allowing insurers and credit funds to lend directly to business. Renzi's main economic stimulus approved so far has been an income tax cut of up to 80 euros (£63.6) per month for low earners, effective from May, while plans for a broad reform of rigid labour market rules have been put back to 2015 at the earliest. Prominent industrialist Alberto Bombassei, chairman of brake-maker Brembo (BRBI.MI), said the competitiveness decree contained too many minor measures and was of no help to business which would benefit far more from a reduction in corporate tax rates. "It seems a clear sign that the government has lost its direction at the moment," he said in an interview in La Stampa daily on Friday.